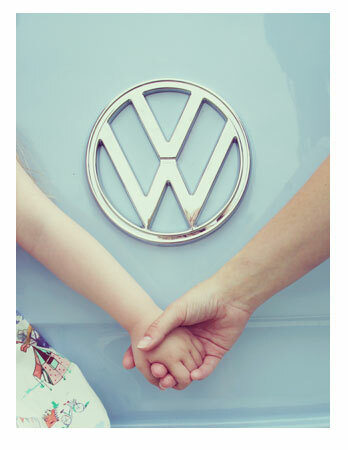 VW's are iconic vehicles, and Truly does not disappoint. 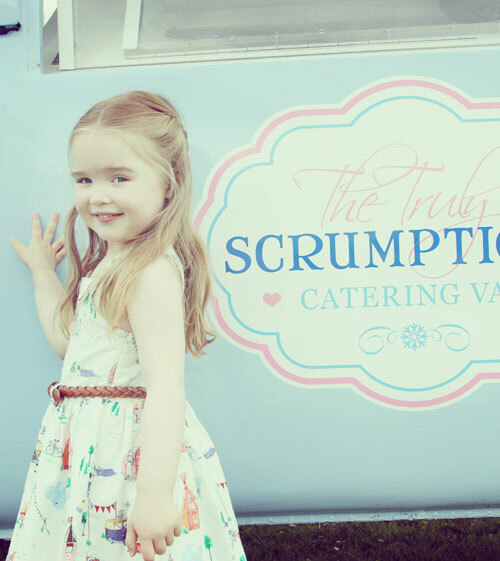 She will add that special something to your event, whether you want ice cream, cupcakes, or just a fabulous added extra to create the WOW factor at your wedding. She is incredibly photogenic and can be used for all manner of things. 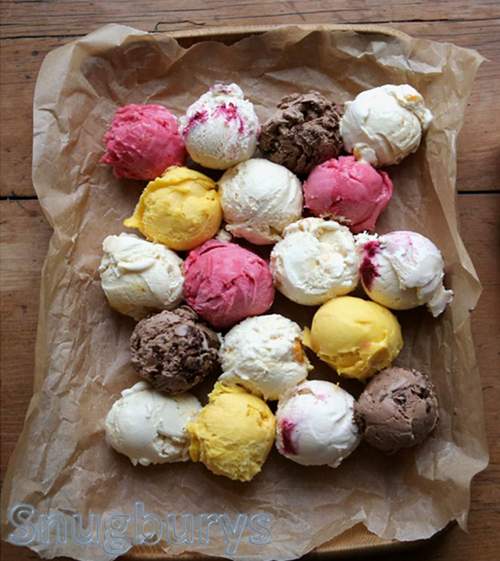 Truly's main use is serving amazing ice cream, sorbets and cakes. However, she is extremely versatile, and if you have something particular in mind, please give us a call, as we’d love to hear your suggestions and will always try our very best to accommodate your wishes. @BayteaO Wow they all look amazing and delicious! Can't wait to try.. Truly is a beautiful 1973 VW Westfalia high top camper van. She came to us in Cheshire from Bonnie Scotland, where she was a little worse for wear. She has been lovingly restored to her former classic VW glory (with a few added extras! ), and painted in original VW colours of pale blue and cream. She now makes the perfect addition and adds a great retro/nostalgic feel to your special event. To pretty her up even more, she is adorned in bunting, fairy lights and pretty vintage accessories. 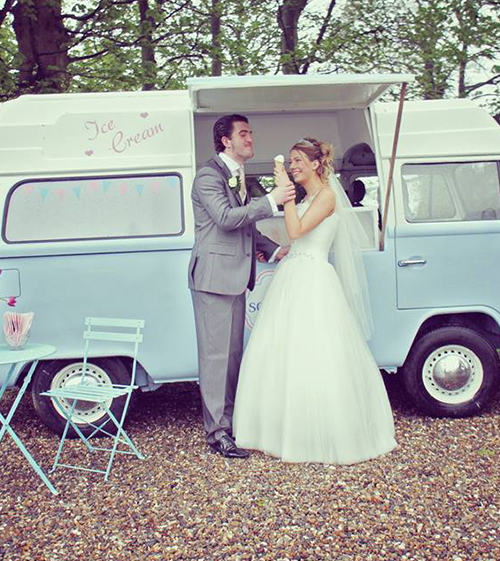 Truly is so much more than just a vintage ice cream van. 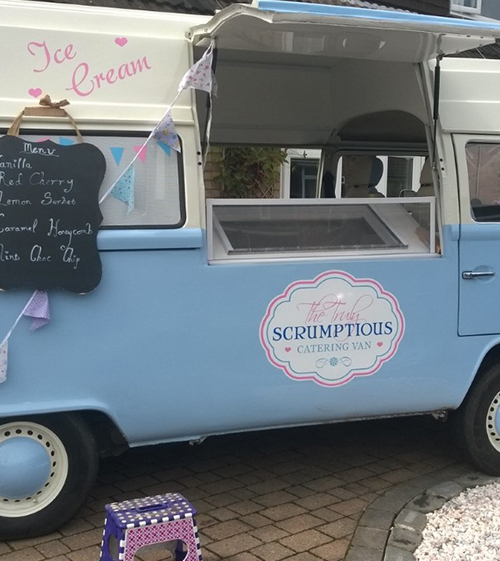 We cater to events across the Cheshire, North West and North Wales area all year round, serving local, award winning, ice cream and sorbets, cupcakes,bakes and old fashioned refreshments. 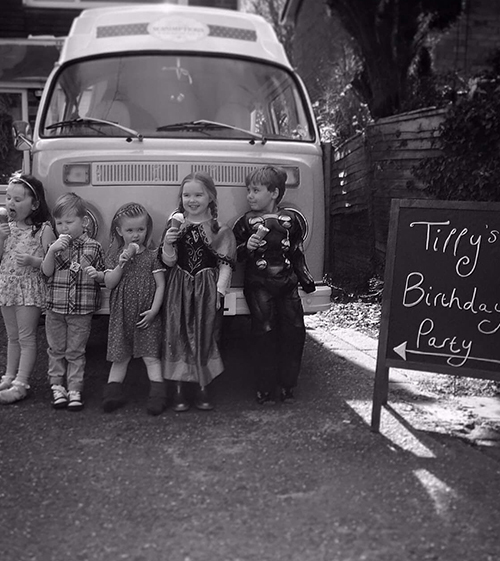 Truly's fridges have been specially designed to run from a silent charge – there's no need to worry about a generator or vintage air cooled engine noise spoiling the tranquillity of your special day! 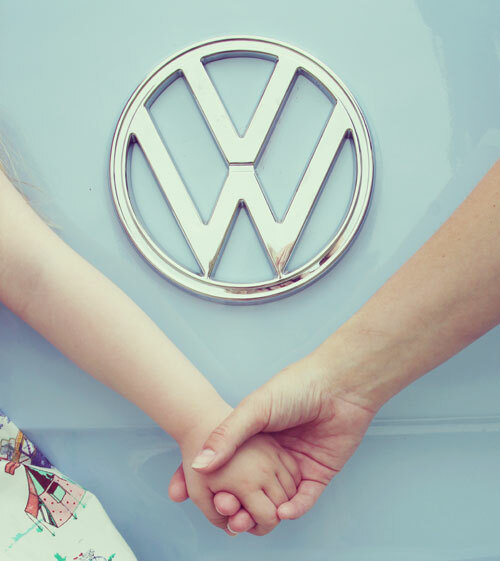 I have always dreamed about owning a VW camper van and starting my own business. 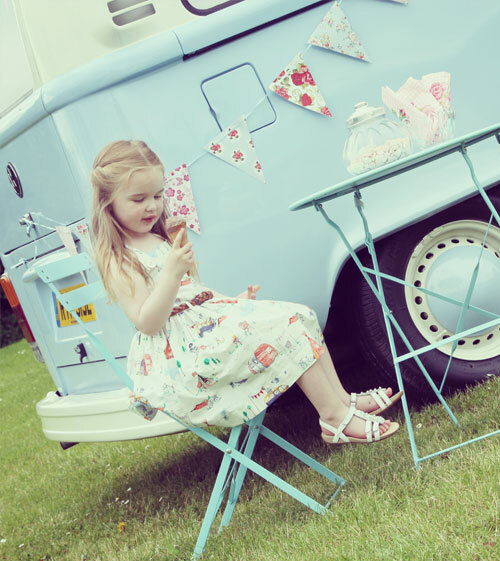 Finding Truly and taking the leap of faith to buy her, meant I could combine both, and add my love for quality ice cream and all things vintage into the mix! 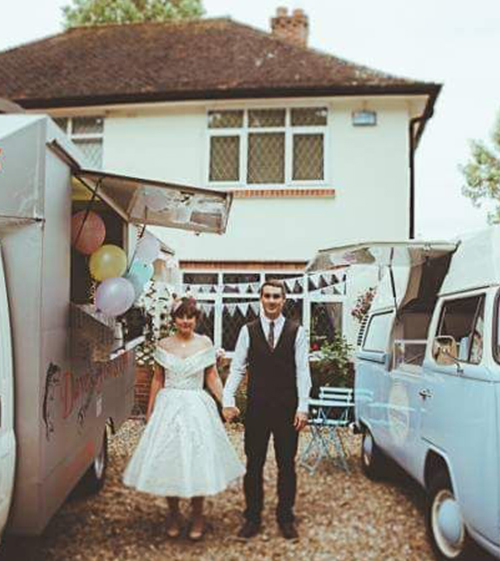 I offer a tailor-made service to suit your needs, whilst ensuring we amaze and delight your guests with great products and a quirky, fun, decorated van. We will serve your guests at your event whilst delivering the best in customer service. Whether it be for a wedding as an alternative dessert or a break during picture taking! Or for a corporate event we will serve your clients or workforce with specific or creative flavours! You might also want to suggest a theme. 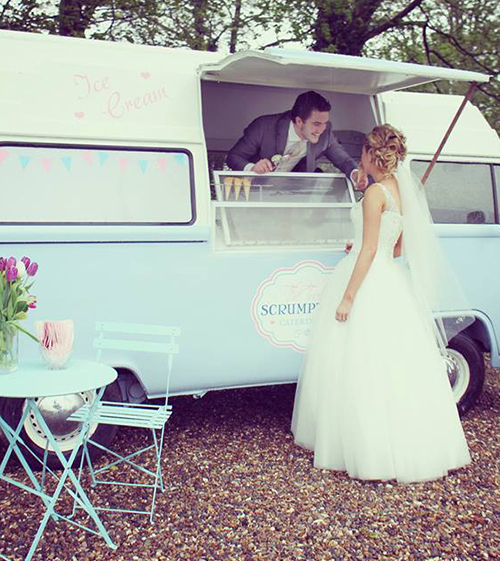 Whatever the occasion Truly Scrumptious will make your special occasion one to remember! All served in a luxury waffle cone or tub. All sauces included (Waitrose or M&S). Sorbet – a refreshing treat! 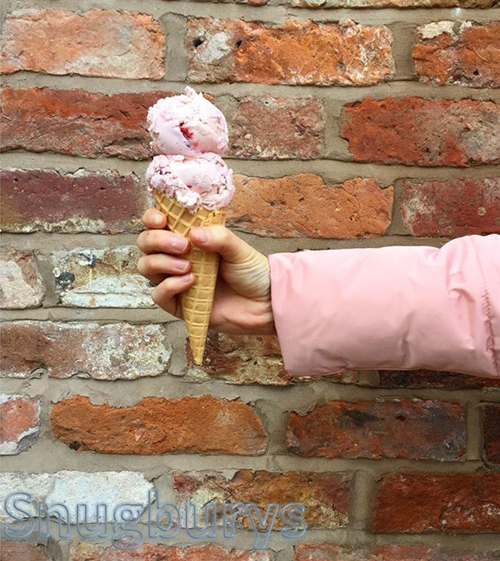 Snugburys Ice Cream is all about taste and texture. It is made with a total commitment to quality and a genuine love for what they do. 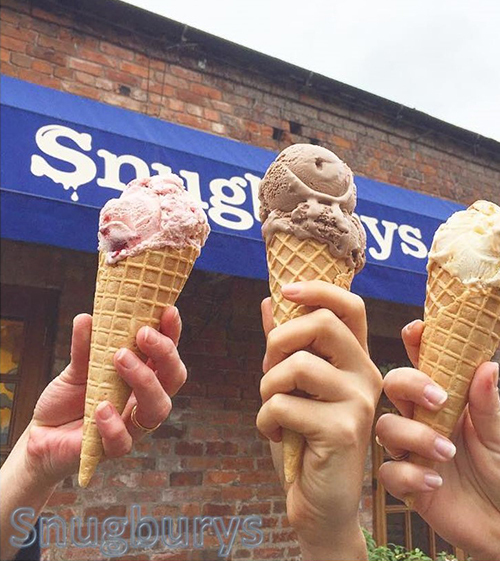 Snugburys fabulous ice creams are all prepared with loving care and attention by their wonderful dairy team. 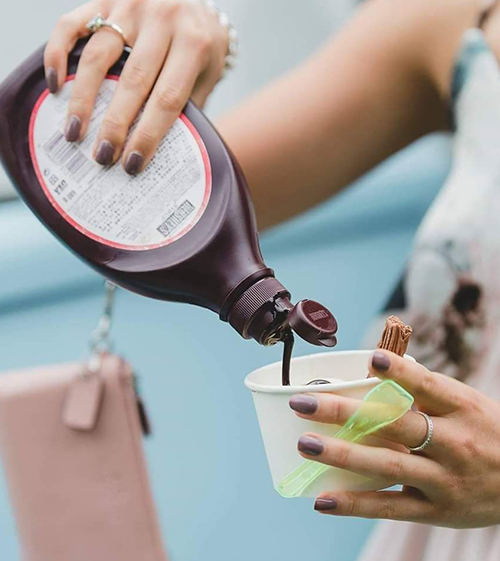 They love creating new flavours and experimenting with ideas - luckily they have lots of volunteers to try their new creations with over 300,000 people visiting their ice cream farm in Nantwich each year! They use fresh cream as the main ingredient and are always striving to find the very best flavours. So much so, that if they can’t find what they're looking for, they will see if they can make what they are looking for! 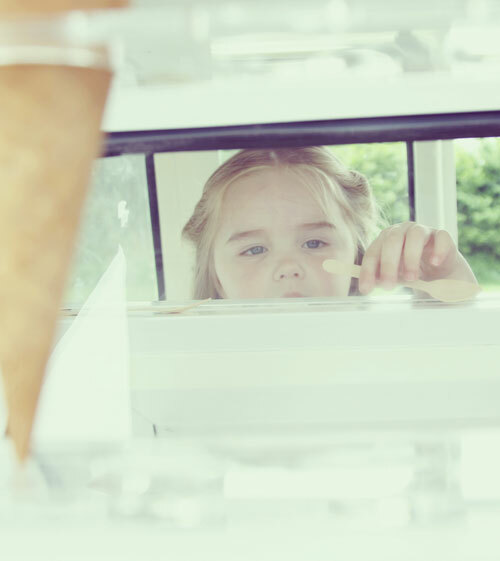 Homemade and handcrafted - it is a work of art - for example the Brownies in 'Better than Brownie' flavour are handmade on site and added to the ice cream. 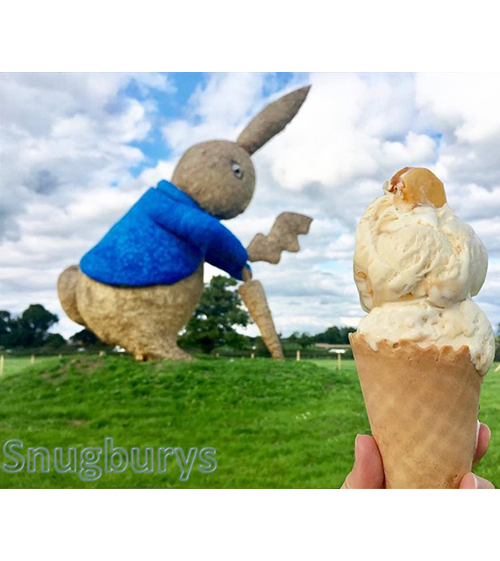 Each ice cream and flavour they make is very special which is why we chose Snugburys for serving on our little van 'Truly'. Your wedding day or event is special too so the product must be premium. We hope you enjoy! 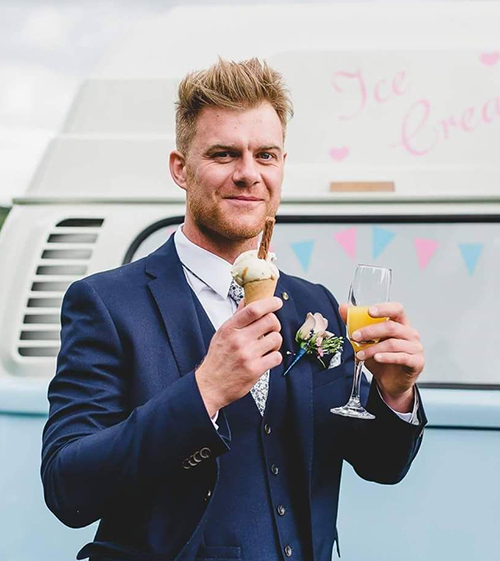 If you'd like to hire Truly to add that little bit of extra panache to your occasion please get in touch so that we can discuss your individual requirements. Truly can travel to most parts of the Cheshire and North West area, and we will endeavour to do whatever we can to exceed your expectations. Truly will add grace and charm to your occasion as well as retro-glamour with a modern twist. Secure and 'save the date' in our bookings diary for a £100 non refundable deposit. The remainder is then due 6 weeks before your special day or event. All you need to do is sit back, relax and enjoy choosing 5 flavours from our menu! Truly can travel up to 30 miles, or further by request, from her home in Chester, Cheshire. If you are unsure of the distance please do not hesitate to get in touch as you may be closer than you think! There are additional options if you are further afield. VW campers are iconic vehicles and Truly will not disappoint. She photographs really well and can be used for all manner of things. 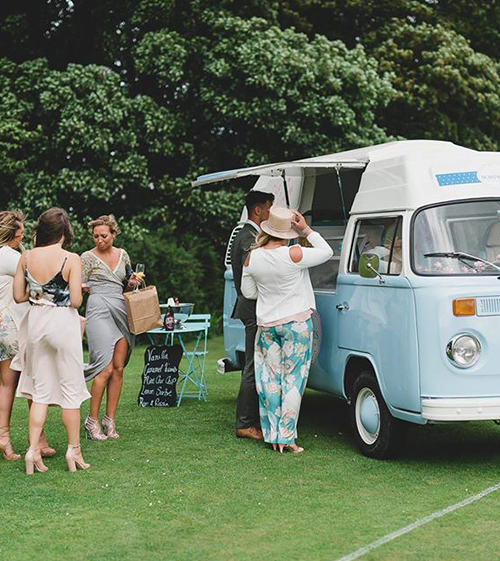 Here are just a few - weddings, corporate events, parties, vintage fairs, festivals, media, photoshoots and much more! ~ Public liability insurance up to 5,000,000. 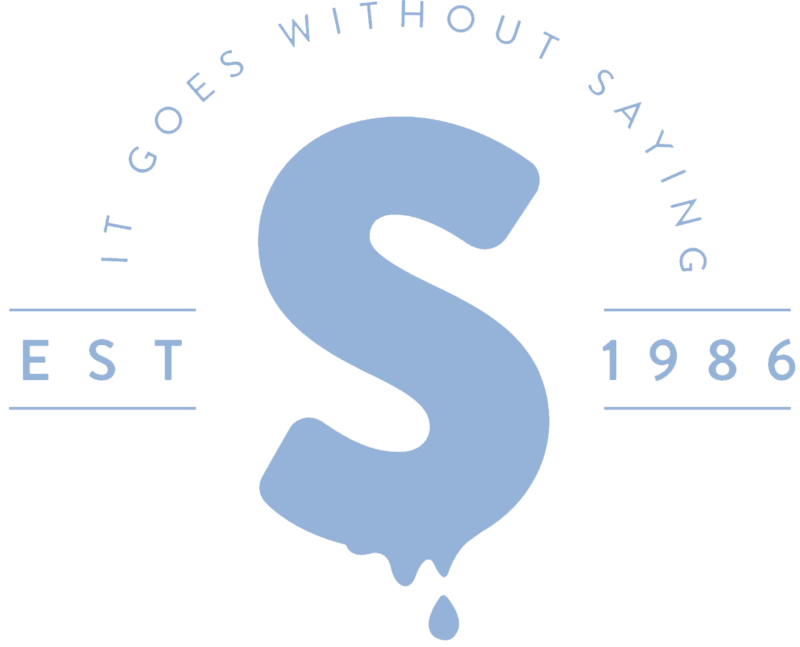 To make an enquiry about Truly please give us a call, we'd be delighted to hear from you. Please do send us an email enquiry with your name, email, phone number and message and someone will get back to you as soon as possible.